Katy Perry made a surprise appearance at the Coachella Music Festival on Sunday night (14Apr19), popping up on stage during her pal Zedd’s set. The 34-year-old singer had been seen enjoying the entertainment at the popular festival in Indio, California with fiance Orlando Bloom earlier in the weekend, but had not been scheduled to perform. 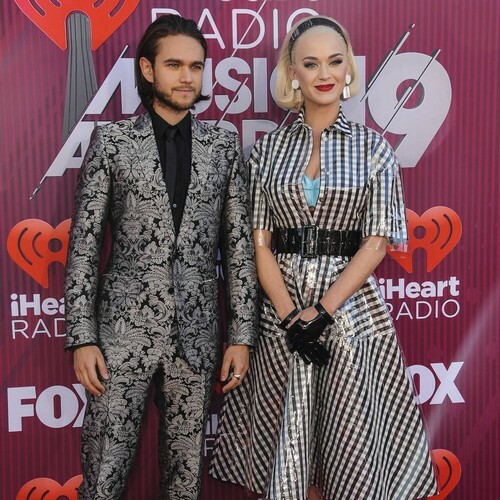 So onlookers watching DJ Zedd on the decks on Sunday could be forgiven for their surprise when Katy joined him to perform their new collaboration 365. The crowd happily obliged, much to the delight of the American Idol judge.